Our love of cottages is boundless. 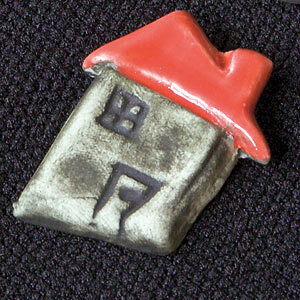 These handmade ceramic pins remind us of cottages at the coast and cabins in the woods. Glazed roofs in lime, blue, or red.